Recently on twitter @RaffiJefri asked me about the step by step process of wearing an 18th-century gown such as one Marie Antoinette might have worn. This is a fun question and there are some really excellent resources on this very topic. Here are some video tutorials that illustrate the pieces, layers and process of wearing a fashionable 18th-century gown! 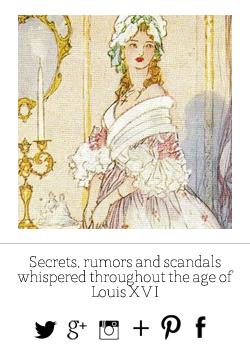 Love this illustrated guide to the layers of an 18th-century gown by YouTube user Vorquellewen. It covers informal and formal wear with some tips and facts about certain items. 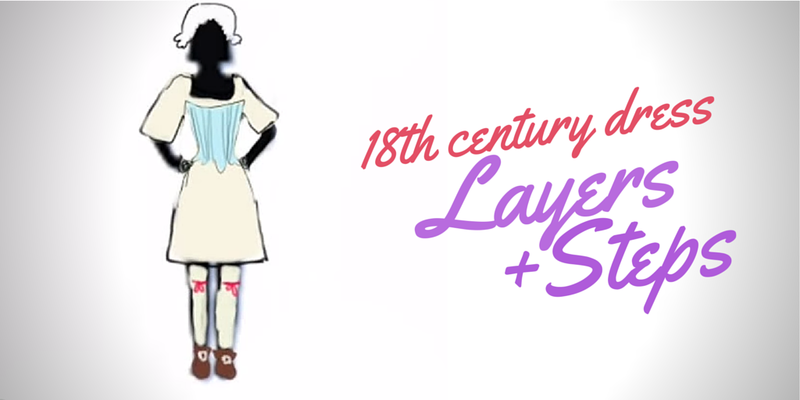 Video showing the layers of 18th century women's clothing. Music is by Beethoven. "18th century layers appropriate for the upper-middle class lady or noblewoman, 1740-1770. If a cap is not going to be worn, it's usually best to have the hair done beforehand, but this is largely optional. For this video, her hair is done in the braided style of 1730-1750. 2. The first layer is one of five hip supports seen in the 18th century. The period 1740-1770 commonly used paniers, pocket hoops or (for 1770) bum rolls. A small set of paniers were used here. 3. Next are the petticoats, usually three or four that may be made out of cheap fabric. Two were used here. Authentic petticoats should have drawstrings that tie in front and back. This made them waist-adjustable, crucial for 18th century frugality. 4. If your ensemble includes a decorative silk taffeta or satin petticoat, put that on. This is the last petticoat that goes on before the gown. 6. Finally, you baste or pin on the "engageantes," the nice lacy things you see on the elbows. Lace was expensive during the 18th c., so the richer you were, the more lace you had (maids, servants had little to none). They were made separate from the gown for easy laundering. Note: The française was made in two ways: with "closed" or "open" fronts. The open fronts were such that they were cut so that a V-shaped opening over the stomach was filled with a piece of decorative fabric called a "stomacher." The popular kinds of stomacher were covered with silk ruched bows or made to imitate the stay lacings seen on poorer folk. Here, she is putting on a gown with a closed front, which needs no stomacher because the fabric was cut to meet in center front. This particular gown was also made with a stand-up Van Dyke collar, which can be seen in paintings by Fragonard and fashion plates. This wasn't a style you'd see every day, but more or less a fancy ball or masquerade gown." Cazonetta. "18th Century Layers (1740-1770)." YouTube video, 2:20. March 28, 2010. http://youtu.be/2pw-AVf6lFw. If the cap is not going to be worn, it's usually best to have the hair done beforehand, but this is largely optional. My hair is styled in the messy "hedge-hog" pouf typical of the period. 2. The first layer is one of five hip supports seen in the 18th century. The period 1780-1790 commonly used bum rolls, bum pads or hip pads. Here, I used a bum pad. 3. Next are the petticoats, usually three or four that may be made out of cheap fabric. I use two here to expedite the process. Authentic petticoats should have drawstrings that tie in front and back. This made them waist-adjustable, crucial for 18th century frugality. 4. If your ensemble includes a decorative silk taffeta or satin petticoat, put that on. Otherwise, the last layer below the waist should be a plain white muslin. Muslin was a popular petticoat choice from 1780-1790 besides silk. 5. You fasten a jacket, gown, redingote (riding coat), etc over the stays with pins or hooks and eyes (buttons were rarely used but not unseen). The typical gowns for this period were the robe à l'anglaise (English robe) and polonaise, besides an endless variety of jackets and redingotes. These (excepting the redingote) were initially informal garments that became extremely popular day wear, otherwise very formal social events called for the older, larger robe à la française. Here, I am putting on a kind of jacket and large hat based off of a fashion plate. This kind of ensemble was common in the last half of the 18th century and would usually include sashes, reticules (a handbag that had replaced the pocket), decorative aprons and fashionable sticks." Cazonetta. "18th Century Layers (1780-1790)." YouTube video, 1:58. March 28, 2010. http://youtu.be/pUoNGe_qJbU. 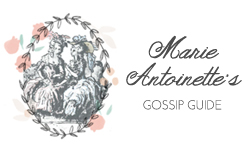 Cazonetta has informational videos and tutorials (all 18th century focused) on her YouTube Channel, including a Marie Antoinette make-up tutorial. Follow Canzonetta's YouTube Channel Here! "The Costumer's Guide to Movie Costumes." The Costumer's Guide to Movie Costumes. http://www.costumersguide.com/18c.shtml. 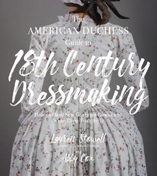 This guide is illustrated with photographs of historical garments. 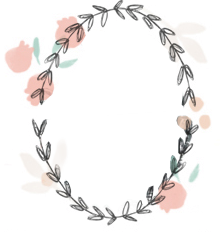 Katy Werlin's blog- The Fashion Historian. http://www.thefashionhistorian.com/ This is a very fun and entertaining blog that takes a look at the fashion and textiles of the past with a focus on 18th century trends. My goodness! Must have taken ages to get dressed! No, it didn't. Those videos last 2 minutes and the dressed person has no help when back in the day someone wearing an elaborate three petticoat silk gown would have had a help, especially with the stockings and the stays. The whole dressing process would have had taken less time than a contemporary woman needs to blow dry her hair. I prefer the 1740s-1770s style. More illustrious.